Considering a Welsh Terrier? They are a breed above the rest when it comes to their intelligence, playfulness and high-spirited nature. Calmer than most terrier breeds, these dog’s are sensitive, if not independent, mild mannered, but with a mischievous streak, an uncanny ability to keep you entertained, and a great family dog for anyone with children. They are loyal and devoted to their family, a great watch dog, and enjoy water, digging, and a lively conversation. Don't however, expect these dogs to offer any sort of protection. They may be somewhat wary of strangers, but they often forget this initial shyness and enjoy anyone who seems eager to make their acquaintance. The Welsh Terrier is only one of two terrier breeds native to Wales and was popular in Britain in the 18th and 19th centuries. 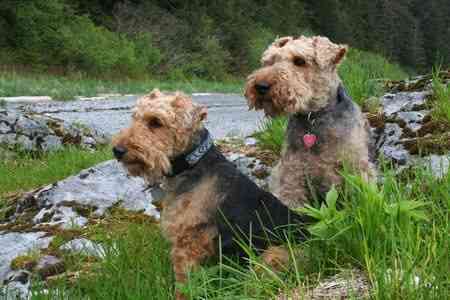 Though they look like miniature Airedale Terriers, they are a distinct breed. 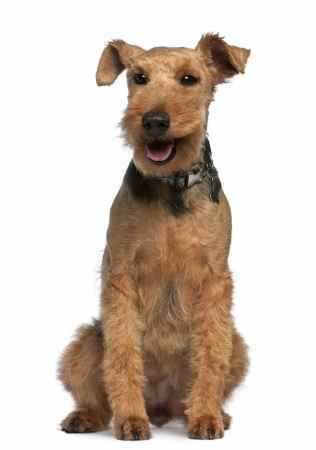 While the Airedale was being developed in northern England from dogs known as the Old English Broken-Haired. In Northern Wales, a different strain, know as the Ynysfor. Though separated by geography, both could be indistinguishable from the other, both being developed to hunt otter, fox, and badger. Eventually, though, they were separated into different breeds and then further developed. 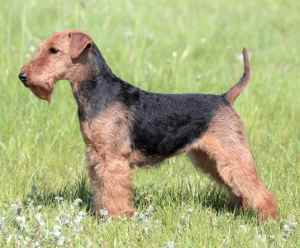 In many ways, the Welsh Terrier looks like a miniature Airedale Terrier. The breed was first shown to the country of England in 1884, and thanks to Prescott Lawrence, the breed was brought to America in 1888, which is the same year they were accepted into the American Kennel Club. In 2015, they ranked 112 the in popularity with the AKC out of 184 listed breeds. Dog Breed Ratings Got You a Little Confused? Although the Welsh Terrier may look similar to the Airedale Terrier in physical appearance, do not let that fool you into thinking they have similar personalities. Many believe that this terrier is one of the easiest trained and docile of all the terrier breeds. That doesn’t mean that you’ll have a couch potato willing to keep your lap warm. They are still Terrier, through and through. Training requires an active, fun approach and consistency. Like many small breed dogs, the Welsh Terrier can be difficult to house-train. Food rewards and playtime work very well with these dogs. This is an independent breed that is not always sure that pleasing his owner is in his best interest. But, you can get around this. It may be a difficult breed for a first-time dog owner to take on, especially because they require a bit more maintenance than your average dog. Experienced dog owners can find these dogs to be a fun challenge. The Welsh Terrier is a very smart and independent dog because they were originally bred for independent hunting of small animals. Something unique to the Welsh, as they are often called, is that they crave challenges, never backing down if the need arises. If people don’t provide the challenge, the Welsh Terrier will find one on their own, not always to the liking of the owner. They love to run around and dig and they require an hour of vigorous exercise daily at the very least. This is not a breed of dog for someone who does not live a very active lifestyle. Without the proper time to get all their energy out, your Welshie may become bored and possibly even aggressive, which is not what you want. With proper training and exercise, you will have a friendly, spirited, canine friend for life. They do best with an owner that uses a consistent, positive approach to training. Socialization should begin the moment you bring your new puppy home. Another great thing about the Welsh Terrier is that they are good with children. While other breeds of dogs don’t particularly love being roughhoused by young children, Welshies absolutely love it and don’t mind it your kids are a little rough with them. They are playful and affectionate and seem to crave the attention they receive from children. They also get along well with other dogs if socialized at a young age. It is important that this breed is trained and socialized very young to keep them in check as adults, especially considering their independent and stubborn nature. Some pets such as pocket pets don’t do well at all with this breed due to the Welshies strong prey drive. Their natural instinct to hunt will make it tough for them to get along with your small pets. They can live in apartments, but because they make excellent watch dogs, they may end up barking at every suspicious noise which close neighbors will find annoying. Socialization is vital to all puppies, but these dogs will do very well if they are trained and socialized from an early age. They are active, so they require a daily walk on the leash. These dogs should not be left off leash and even an electronic fence may not adequately protect them if they happen to see something small that catches their attention. Welsh Terriers have performed well in a variety of dog sports such as earth dog trials, agility, and even obedience. Look very easy. What do you think? The good news is that this is a light to the non-shedding dog, which is ideal for those who have allergies. They do require a fair amount of grooming and maintenance to maintain their beautiful coat. Brushing their hair every other day will keep it in good shape, and typical of most terriers, they should also be stripped or clipped about ever 3 to 4 months. Not every terrier owner opts for hand-stripping because it is time-consuming to do yourself and expensive to hire a groomer. Hand stripping is the process of grabbing the outer hairs by pulling them out you’re your fingers or a stripping knife. First of all, don’t panic, most of the hair that are removed is dead which is not nearly as painful as you might think. It helps to remove the excessive hair which works well in the summer when the temperature. They also need regular baths to keep them looking clean and smelling fresh. Their teeth should regularly be brushed and their ears checked and cleaned if needed. Toenails should also be clipped about every two to three weeks. You will know when they are too long if you hear them click on a hard floor. Using a nail grinder is also an option if your dog hates to have his nails clipped. Using the grinder or a metal file after clipping will smooth them out so no one can get scratched from frayed nail ends. The Welsh Terrier is a healthy breed but like any other dog breed, they have been known to inherit certain genetic problems. 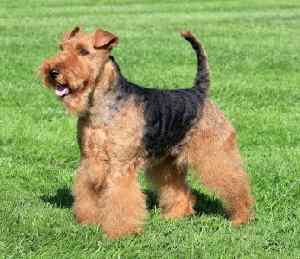 Purchasing a Welsh Terrier from a reputable breeder who does some health screens on their adult dogs will assure you that you are getting a healthy dog. Genetic testing has become more commonplace so ask the breeder what tests have been done.